First off, this book reads just like talking with Olga. The writing style is very conversational, making it feel like she is talking directly to you. For a motivational book, I think this style and tone are very effective. Second, I liked the message in the book. 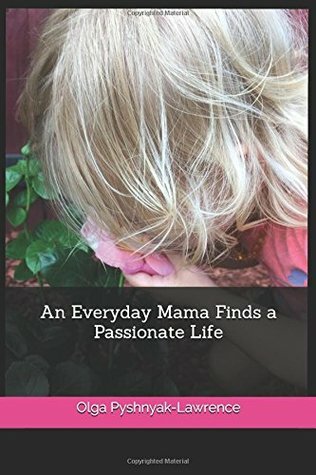 While I don't personally read self-help or motivational books, I could see how this could be a great book for a woman who has lost herself in being a wife and mother. I agreed with her advice on finding what you are passionate about outside of your role in the family. However, I fear that her message will be lost due to the poor execution. It lacked polish. It needed at least another read through by a proofreader. There were little mistakes that are often overlooked by someone that has looked at the text a million times (because your brain reads it correctly). It may have needed another run by the editor as there were some verb inconsistencies (changing tenses) and somethings just didn't sound right to an American reader. There was also a bit too much repetitiveness for my liking as well. With a little clean-up of the manuscript, this would have been an excellent book. I absolutely love the message and think it would be a great gift for any mother.